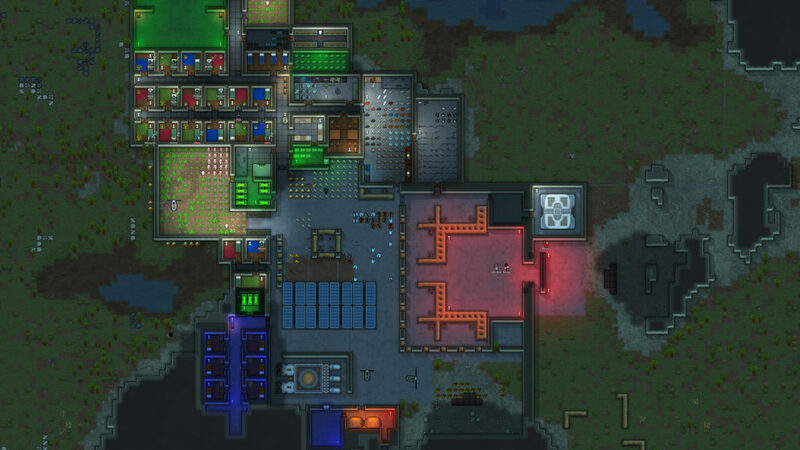 RimWorld is a game that I’ve owned and played since August 2016 – I have ploughed hundreds of hours into it, and only now do I feel like I’m in a position to remotely do it justice with a review of how it currently stands. 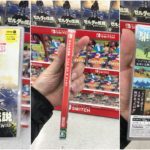 It is one of those games which almost defies description, as the sheer depth and variety of what it offers is somewhat overwhelming. Let’s start with where this title draws its inspiration from, and that’s from two games specifically – Dwarf Fortress in terms of the concept of it, and Prison Architect in terms of the execution and general graphical design. Yet, with that said, RimWorld has little to do with either of those titles, because it is infinitely more accessible than Dwarf Fortress – which uses text-based graphics to convey the gameplay – and is a completely different game altogether than that offered by Prison Architect (it currently shares the aesthetic design of this game, using assets with the permission of the devs, but this may change throughout the Early Access stage of development). The developers also admit that the game is inspired by Firefly and Dune. 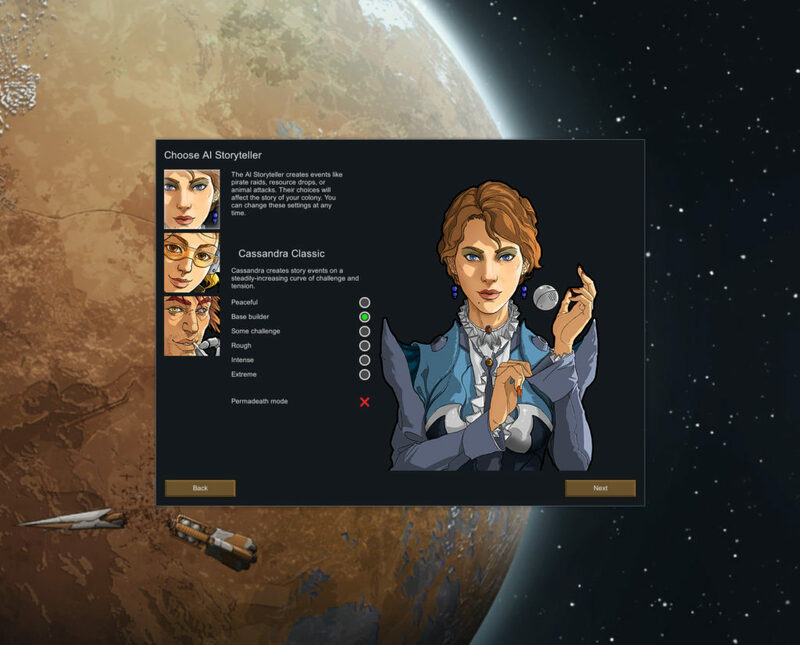 The aim of the game is simple enough – you control the actions of one or many colonists who have crash landed on a ‘RimWorld’ (think of it as someone landing on Pluto – the outer reaches of the galaxy) who aim to start from scratch and get a functional colony up and running and survive from day to day before, hopefully, developing the technology required to escape the planet and return to civilisation. The lore behind the game is impressive if you care to read into it, yet only features passively in the game itself – you can learn about how society is split into different class levels, from the elaborate Glitterworlds – where advanced scientific technology reigns supreme – to ‘Marbles’; which are planets that have been utterly annihilated. This is a design choice, because the game doesn’t want to hold your hand or immerse you in a pre-set story; instead, it sets the scene, drops you in the deep end and allows emergent storytelling to play out, by giving the individual colonists backstories and traits of their own. 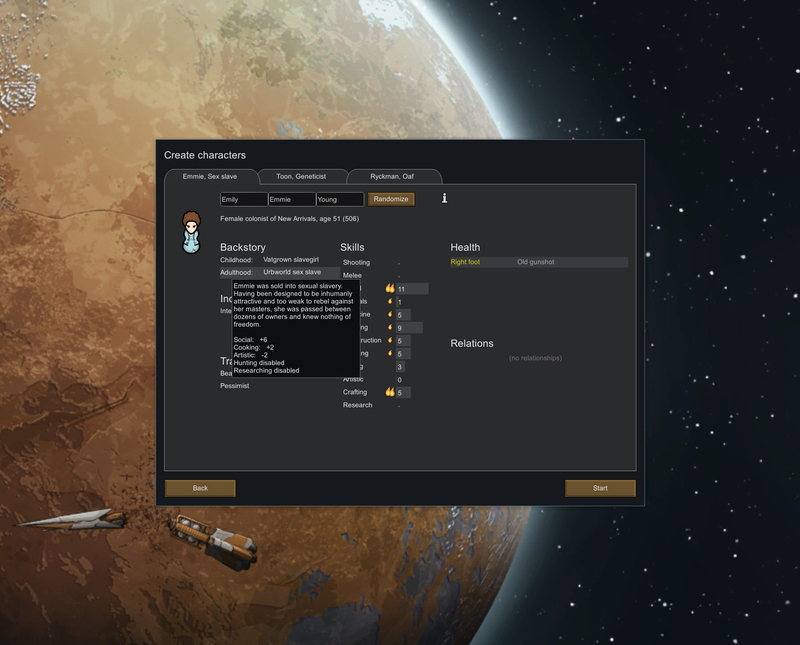 These colonist traits are entirely random – you could get a drug addicted cannibal with a serious heart condition who nevertheless loves animals. No, I didn’t make that up, that can happen! Each character has their own unique (and often quite dark) backstory, with different traits, relationships and health conditions. And boy, do I mean it when I say this title drops you in deep waters straight away. It is a survival game – a term that is almost a dirty word these days due to the sheer amount of indie games that are glorified Minecraft clones, but this is simply not one of them. Yes, you have to collect initial resources, build a shelter etc. to survive the first day, and yes, you will get ‘creepers’ early on that you have to defend yourself against, either from pirate mercenaries or primitive tribes that inhabit the RimWorld you landed on in this case. But the comparisons with Minecraft start and end right there. For starters, you don’t control one character in first-person here. Instead, you micro-manage the priorities of the colonists to ensure that key tasks get done. 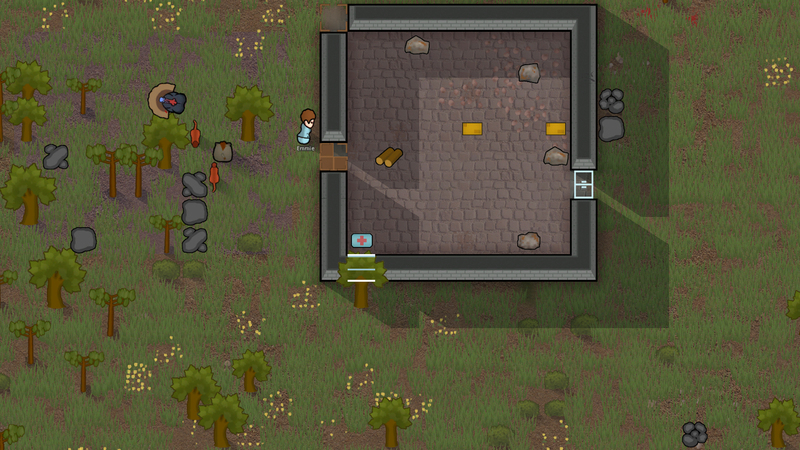 For example, you can set one colonist to chop allocated trees for wood as a main priority, then when no more trees are set to be cut, you can give them a secondary priority to cook, clean, mine, haul resources, grow drugs (yes, actual drugs) and so on. This becomes very complicated as the colony grows, and on paper you’d think that such micro-management would become irritating, but it just… doesn’t! Indeed, you’ll always be thinking about that next hole that needs to be filled in your colony, planning in advance and making key decisions on the fly. Often I’d pause the game for 10 minutes and just look at the scenario and think tactically, and enjoy that respite every bit as much as playing the game, because at times it becomes akin to a game of chess as you desperately try to avoid making a mistake which could wipe you out at any time. And you will be wiped out. A lot. And you will love it. This is the management game version of Dark Souls, because the sheer volume of ways you can meet your end is astonishing here. Your colony can be thriving one minute, then out of nowhere your power source can explode, your crops die, a plague hits, a toxic cloud of poison from space envelops your colony or a rabid bunch of bloodthirsty animals can attack. The aim is to build a thriving colony that can gather resources to keep itself going and defend itself against raiders. Did I mention this game is hilarious too? As in one of the funniest games you’ll ever play? It’s all down to the attention to detail the game offers, combined with a lack of scripting that results in, quite simply, the finest example of emergent storytelling in gaming I’ve ever had the pleasure of experiencing. Here’s an example: One day my early colony was getting along fine, when a local tortoise decided he hated us and attacked in a frenzy. My colony killed the turtle, but not before Irene was bitten on the arm. Not a big deal you’d think, but that arm became infected. John has a 7 in Medicine, so I decided to have him fix up Irene – however, this ended up being a terrible idea, as in attempting to fix her arm, somehow John removed her lung instead and killed her (I’m fairly sure he did this on purpose, because the alternative reason of being a level of stupid previously unthought of in mankind is somehow worse than being a homicidal maniac…). In a grief-ridden state of shock, John went mad and clubbed Malcolm to death, took off his clothes, wandered off, developed hypothermia because he was cold intolerant, and died alone in a field. That’s just one outcome in RimWorld; there are countless others. Indeed, every time you start a new colony, you have absolutely no idea what is going to happen – you select a biome (tropical rainforest, frozen wilderness, temperate forest, etc. ), select your colonists and off you go; everything after that is completely up to how you manage the game and pure chance. The replayability is through the roof here – for a challenge, you can start as a primitive tribal warrior in the arctic wastes where nothing grows – can you seek shelter, research how to grow plants indoors and get enough food to survive before you starve to death? Speaking of chance, there is one way you can dictate how your story will go, and that is by selecting one of the various ‘storytellers’ at the start of the game. These acts as Gods of a sort who will decide how the difficulty of the game will scale – for example, Cassandra Classic is a storyteller who will gradually ramp things up but be fairly lenient in the early game, whereas Phoebe Chillax will be very hands off and only occasionally cause you a bit of chaos. Randy Random, however, is an arse, who will do anything he wants, whenever, wherever. Fancy fighting off a high-tech robotic alien with nothing but a wooden stick? Then Randy’s your storyteller. The variety of difficulty conditions, random event probability manipulation, different climates and resources add to an almost infinite level of playability on offer. Downsides? Well, a lot of the negatives are closely tied to the positives. 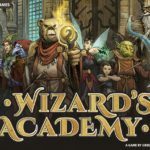 The game has a ridiculous level of complexity, meaning that in terms of accessibility, this is not one for a casual player who just wants to pick up and play. Sure, it’s easier to get into than Dwarf Fortress, but it is still an intimidating title in its own right. Despite having a tutorial which is fairly comprehensive, it is still a game where you will want to look up YouTube vids of people playing it or check out the game’s Wiki or forums to really get a handle on it. Exacerbating this is the fact this game is Early Access and is still getting boatloads of content added to it, which can add bugs and can sometimes drastically change the gameplay for better or worse – the addition of a drug system, for example, did derail the experience briefly before being remedied by the developer later. Yes, this game is Early Access, but honestly this title is more feature complete and has more content than 99% of other fully released games on the market. You can buy this right now and expect a very complete experience. There is always the caveat of Early Access making updates that ruin the game, or the game gets abandoned by the dev, but what I can say is that currently the developer has done a stellar job thus far. So, I won’t give it a score as it is a work in progress, but can I recommend it? Yes. Massively so. People could argue that it is expensive for an indie title at £22.99, but personally I’d gladly pay double that for this game – it has more content than any AAA game I’ve played in the last ten years. No hyperbole there whatsoever. It is a truly wonderful game, and I simply cannot wait to see the final product, as I strongly suspect this will be a title I will be playing for years and years to come. This review of it barely scratches the surface, and I probably haven’t done it justice as I honestly believe you’d need 10,000 words to do so, but I’ve tried my best! If you love management/simulator games and you love really getting into a game and sinking your teeth into it, then this is quite simply a must buy. Available: PC – Available on Steam or direct DRM-free from developer website.